Gov. Patrick "Give Union Workers a Fair Chance"
Organized labor, including the International Brotherhood of Electrical Workers (IBEW) and its 900 local unions are leading the movement for quality, affordable healthcare for all. That effort now intersects with IBEW Local 103's initiative to protect jobs and safety standards on building projects in eastern Massachusetts . 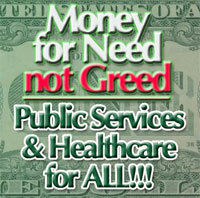 Given the devastating effects of corporate greed on our economy, it is particularly alarming that pharmaceutical/biotech companies are pushing harder than ever to enrich themselves through public subsidies, grants, tax breaks and other special treatment at the expense of taxpayers, patients, workers and public services. 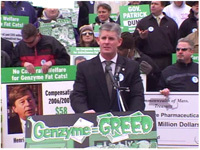 While companies like Genzyme and Shire lobby aggressively for corporate welfare, they refuse to ensure that their new facilities will be built by union electricians and other union workers who are graduates of the best apprentice training programs, earn area-standard wages and benefits and deliver top-quality work at job sites constantly monitored for safe working conditions. We in Massachusetts are being hurt by the powerful lobby that exists to further enrich and empower the pharmaceutical/biotech industry. 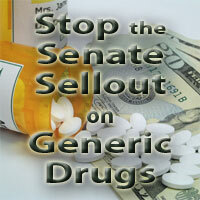 In her book, The Truth About Drug Companies, Harvard Medical School's Dr. Marcia Angell refers to companies "being hit with a tidal wave of government investigations and civil and criminal lawsuits" for "illegally overcharging Medicaid and Medicare, paying kickbacks to doctors, engaging in anticompetitive practices, colluding with generic companies to keep generic drugs off the market, illegally promoting drugs for unapproved uses, engaging in misleading direct-to-consumer advertising and of course, covering up evidence… Instead of being an engine of innovation, it is a vast marketing machine. Instead of being a free market success story, it lives off government-funded research and monopoly rights." 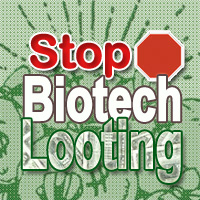 At the center of the lobby seeking to grab hundreds of millions of taxpayer dollars are the Massachusetts Life Sciences Center, Massachusetts Life Sciences Collaborative Organizing Leadership Council and the Massachusetts Biotechnology Council. 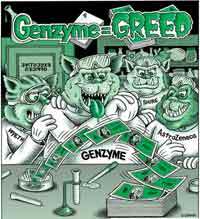 A key leader and benefactor of the lobby is Genzyme's CEO Henri Termeer, who raked in $35.6 million in compensation from Genzyme in 2007 and was appointed to Gov. Deval Patrick's Council of Economic Advisors. 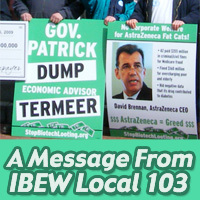 Local 103 has formed a partnership with Corporate Campaign, Inc., a firm that has successfully challenged corporate predators since 1981, to help stop the industry's bad labor practices and looting. On this website, we invite you to learn more about how Massachusetts taxpayers are being fleeced by the pharmaceutical/biotech industry and how you can help stop the looting.